As with any title in the program, you can play the full version of these games starting August 1st. The Xbox Game Pass August update sees a total of seven games being added, including Ryse: Son of Rome, Hitman: Season 1, and more, including zombie hordes, Disney family fun, and cyberpunk conspiracies. As with any title in the program, you can play the full version of these games starting August 1st. 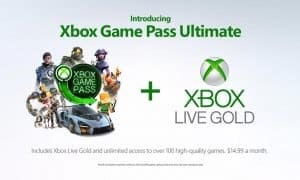 As well, you can save on purchasing the full game and/or any applicable DLC for Xbox Game Pass games. The world of Salt hangs on the brink of collapse. The citizens, once free spirits, now stand oppressed and isolated. But not all is lost, for out of this aether of fear arises a heroine, a ray of hope. Her name is Dandara. Welcome to a unique 2D metroidvania platformer full of mystical creatures and boundless exploration. Defy gravity as you jump across floors, walls, and ceilings alike. Discover the mysteries and secrets hidden throughout the world of Salt and its diverse array of characters. Empower Dandara for combat and survival against enemies bent on oppression. Awaken, Dandara, to bring freedom and balance to this directionless world. INNOVATIVE CONTROLS – Built natively for both touchscreen and gamepad input, movement and combat interact smoothly and seamlessly. BOUNDLESS EXPLORATION – Traverse across the esoteric world of Salt through fast and fluid jumps off any surface, unhindered by gravity, in lovingly crafted environments. CHALLENGING PROGRESSION – Use a combination of speed & skill, wits & reflexes, to solve puzzles, earn powerups, and access areas previously unreachable. BEAUTIFUL AND IMMERSIVE WORLD – A visual and auditory wonderland comes to life through gorgeous handcrafted pixel art and original soundtrack compositions. Merging the award-winning, smash-hit, indie game The Escapists with the worldwide phenomenon that is The Walking Dead, comes The Escapists: The Walking Dead. In this unique game, recreated entirely in the charming 8-bit pixel art style of The Escapists, you play as Rick Grimes as he takes on hordes of zombies let loose upon the world. Rick is in charge of a band of survivors featuring many of the original comic book cast, including Maggie, Hershel, Glenn and Michonne. Rick must secure the safety of the group by seeking out a safe escape route from each area, and manage several dangerous tasks to keep as many of the group alive as possible. The game faithfully matches the timeline of the comics, meaning Rick must first fight his way out of the Harrison Memorial Hospital, visit the Greene family farm before visiting destinations such as the Meirwether Correctional Facility and Woodbury. Protect the living and escape the dead as you play through the award-winning comic’s epic story. RUINER is a brutal action shooter set in the year 2091 in the cyber metropolis Rengkok. A wired sociopath lashes out against a corrupt system to retrieve his kidnapped brother and uncover the truth under the guidance of a secretive Hacker friend. Sophisticated & Brutal Combat: Become the boss of the battlefield acquiring deadly supplies, enhancing your tactical senses and mastering other mind-breaking skills and gadgets that will leave your foes confused and powerless. Cyberpunk Inspired Arsenal: Employ state of the art gadgets and abilities like energy shield, kinetic barrier or grid converter. Dash augmentations, reflex booster or overload will make you uncatchable while with ghost break you can hack your opposition onto your side of the fight. Story-Driven Action: Violent confrontation is a means to an end and trust is a devalued currency in Rengkok as you navigate a senseless world and dismantle the corporate titans of virtuality dealers at HEAVEN. Rush: A Disney•Pixar Adventure, invites families and fans of all ages to experience the worlds of six beloved Disney•Pixar films like never before. Team up with characters from The Incredibles, Ratatouille, Up, Cars, Toy Story, and Finding Dory to solve puzzles and uncover hidden secrets all remastered in 4K Ultra HD and HDR. You and your favorite Pixar character can interact on screen and play cooperatively to solve challenges. Move from fast-paced puzzle-solving to moments of pulse-pounding agility and speed. Amidst the chaos of the late Roman Empire, become soldier Marius Titus and embark on a perilous campaign to avenge the death of your family and defend the honor of Rome. In Gladiator Mode, step into the Colosseum and fight for the glory, spectacle, and entertainment of the crowds. 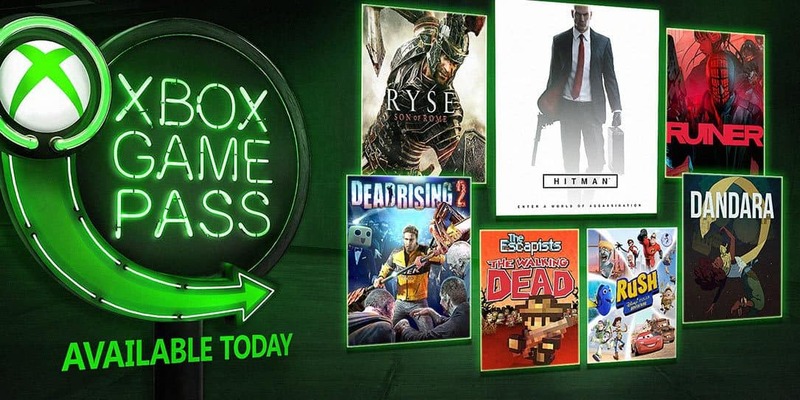 Of course, these are just the base games that are being offered up but if you like it enough you can score 20% off the base game and 10% off DLC while the game is part of the Xbox Game Pass. What do you think of the games coming to the Xbox Game Pass in August? Let us know in the comments below or on Google+, Twitter, or Facebook.